Espressivo – A small, intense orchestra, led by Michel Singher is performing the Klaus Simon Chamber Version of Mahler’s Symphony No. 4 with Sheila Willey, soprano. 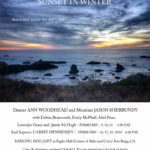 Jason Sherbundy will be at the piano. Tickets available here.